Each day we witness the frustration and effects of untreated hearing loss. We see patients who have withdrawn from their families and favorite activities and start to become isolated. Luckily for us in the U.S., there are many options to help us pursue better hearing. In other countries, they are not as fortunate. Starkey Hearing Foundation (SHF) is a non-profit started by Starkey Hearing (a U.S. hearing aid manufacturer) 30 years ago. Their mission is to spread better hearing across the globe. 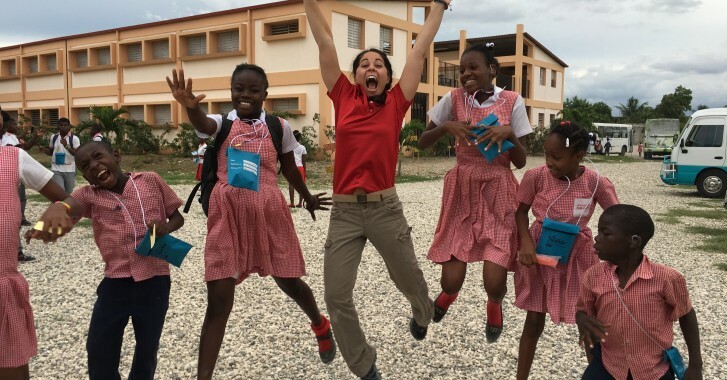 They’ve visited 100+ countries and have provided over 1.8 million hearing aids in the U.S. and around the world. They don’t have to do it, but they understand the importance of better hearing and believe strongly in giving back. HRC has worked with Starkey’s hearing aids for years and has always supported the foundation. We contribute financially and collect used hearing aids from our patients to be repaired and used around the world. We’ve been huge fans of the work they do and have cheered them on as they use better hearing to spread hope and love to places near and far. 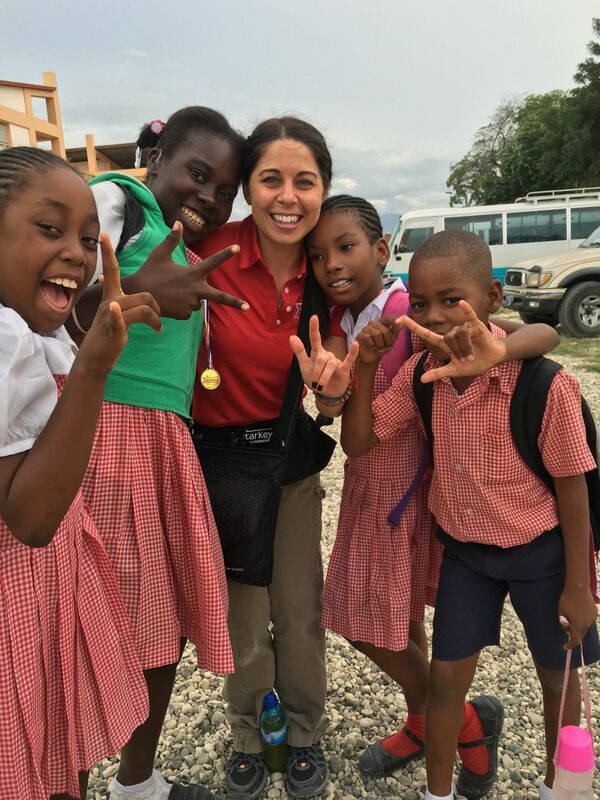 In December of 2015, SHF traveled to Haiti on its second hearing mission to the region since 2010. Haiti is a country in crisis. They suffered a 7.3 magnitude earthquake in January 2010 and its effects are still being felt. Over 200,000 lives were lost, 1.5 million people there were left homeless, and what little infrastructure and buildings that did exist were mainly destroyed. Five years after the earthquake, with aid pouring in from the U.N. and countries around the world, basic needs such as healthcare, housing, clean water, and sanitation are still out of reach. Needless to say, proper healthcare is nonexistent. 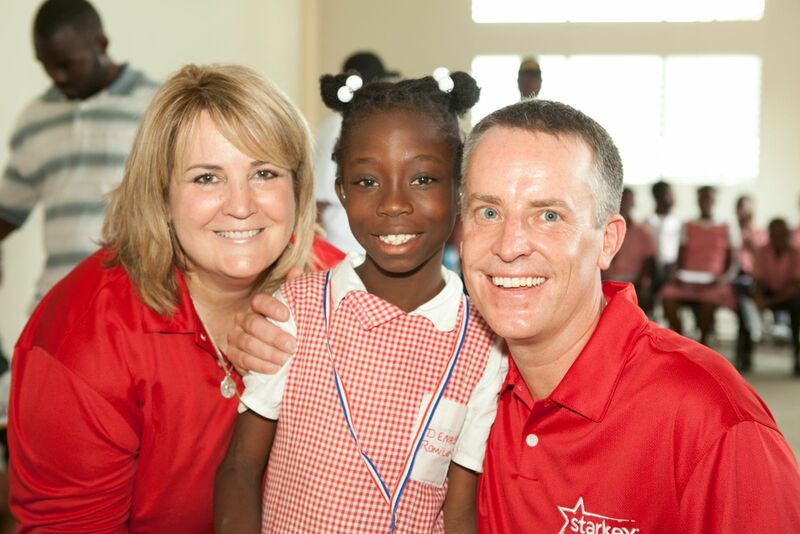 Dr. John Curran and I were fortunate enough to travel with Starkey to Haiti in December. It was a humbling and life changing experience. We fit earmolds and hearing aids on over 1,000 people aging from 5 to 95. As we traveled to all different parts of the country, it broke our hearts to see the conditions Haiti’s people live in. 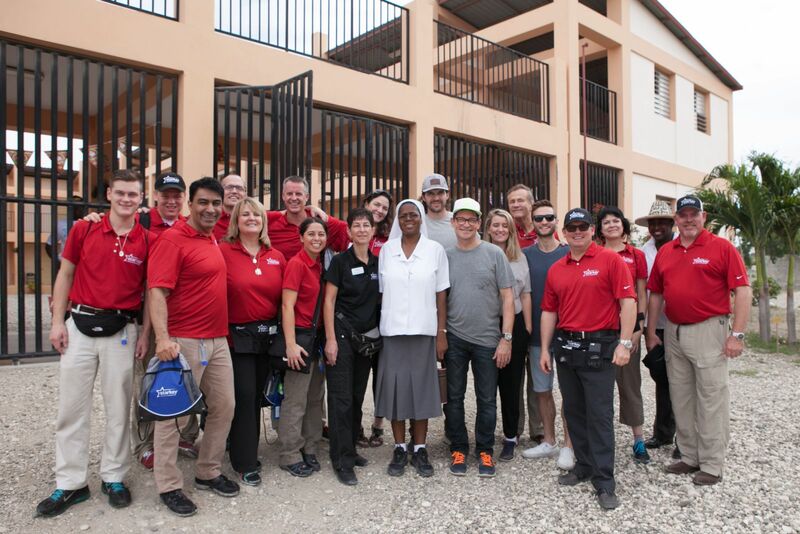 We were there to give hearing aids and earmolds to people, but what we were doing was really so much more. It starts with better hearing, but even bigger, we were able to spread kindness, hope, and love to people who face great adversity on a daily basis. As our patients, you are all well aware of what a difference better hearing can make and how often we take that ability for granted. Many of the people we fit were children. As they sat waiting for their turn to be fit, it was very quiet. Some of them knew sign language, some did not, and most were non-verbal. They had heard little to nothing since birth. When we placed a hearing aid on their ears and they heard sound for the first time, it was fantastic! Their eyes lit up, they smiled, they laughed, they were amazed, and they were so genuinely happy! The memory of those moments is something that I will carry with me forever. If you would like to help us support the ongoing efforts of the Starkey Hearing Foundation by donating a used hearing aid (working or not), please contact your local HRC office. 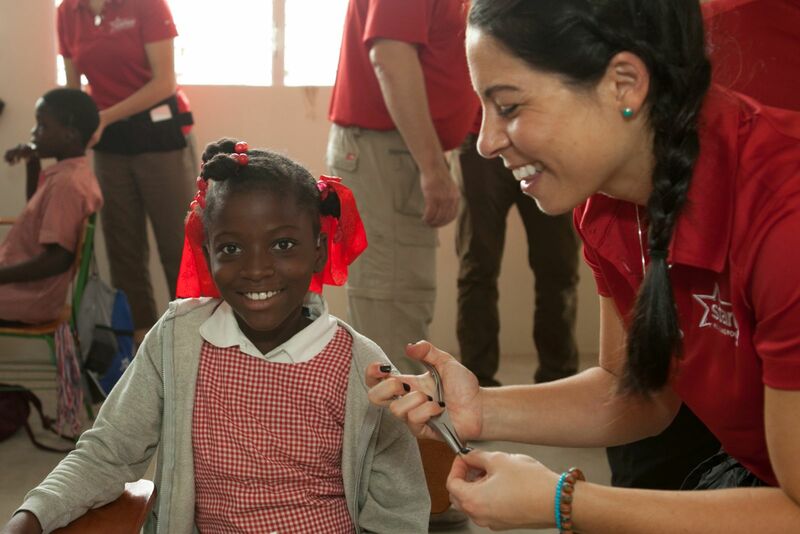 To learn more about Starkey’s efforts around the globe, visit www.starkeyhearingfoundation.org.